The Italian government barred two more migration ships from Africa on Saturday. Italian interior minister Matteo Salvini demanded that the Netherlands recall their two Dutch-flagged NGO migrant ships that transport migrants from the African coast to Italy. 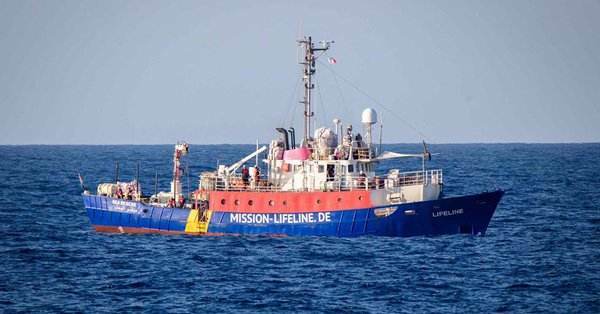 A fleet of NGO ships work around the clock to deliver “refugees” to Italy. A number of the organizations sponsoring ships in the armada are funded in part by organizations run by billionaire George Soros. The Italian government told the Dutch ships: “They should know we are no longer part of this illegal immigration”. Italy’s interior minister has sparked a new migration crisis in the Mediterranean by barring two rescue boats from bringing refugees to shore, a week .